In a recent post, I wrote about how the Club One Fitness program in Second Life helped me lose 20 pounds, lower my blood pressure, and make permanent changes to my lifestyle. To address that question, Club One actually ran two groups of 40 people each — one virtual, one in a physical facility. With the same program in each one. 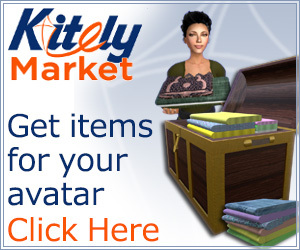 Well, maybe except for the part where you get to fly a magic carpet in the virtual facility. “The physical club program was as equivalent to the virtual world program as we could make it,” said Celeste DeVaneaux, creative director of Club One Island in Second Life. The result was that the the virtual group lost more weight – eight pounds versus six pounds – lost more body fat, and lost more inches around the waist. In addition, more people stuck with the virtual program than the physical one – 25 finished the virtual program, but only 20 completed the physical one. One interesting aspect was that most of the drop-outs in the virtual program happened at the start. The research project was repeated twice – once running from January to March, and a second time from July through September, at no cost to the participants. The research project also results in favorable publicity, she added. Those who didn’t get in for the free research trials might want to stop by during the holidays, when the facility will be open to the public on November 13 for a six-week open house. There will be holiday parties and other activities that will give people the opportunity to come and experience the facility and its offerings. “I’m sure there will be a number of competitors coming in and looking at it!” she added. Registration for the next January-March session will open on December 15. Price for the 12-week program is $750 and includes the four sessions per week, plus unlimited use of island facilities and tools. For the cash strapped, there is also an option to rent an apartment on the island for $20 a month that provides access to the tools and facilities, without the support groups and personal attention from fitness and nutrition experts. In addition, Club One will be playing host to another research group, of 100 people, based in Indiana University. San Francisco-based Club One, Inc. has over 20 years of experience trying to make Americans more physically fit. “And what we know is that Americans keep gaining weight, and only 20 percent are doing anything to change their situation,” said DeVaneaux. Fitness clubs aren’t working. Even clubs located at work places aren’t getting returns on their investments, she said. “The country keeps educating, but not making any progress,” she said. Club One and its competitors, for example, have been trying to address this problem, not just with exercise equipment, but a variety of support programs and other tools. And it doesn’t work. Jim Mizes, who was then president and CEO of Club One, once told DeVaneaux that if there was a way to get to the other 80 percent of the population, then the country can see some real progress on fitness. DeVaneaux said that one immediate discovery was that virtual environments have a profound effect on the brain. DeVaneaux originally started at Club One building the company’s physical facilities, managing new construction, IT and infrastructure. From there, she moved into a senior IT position. To make the leap to running a major virtual worlds project, she enrolled in a certificate program in virtual worlds at the University of Washington. 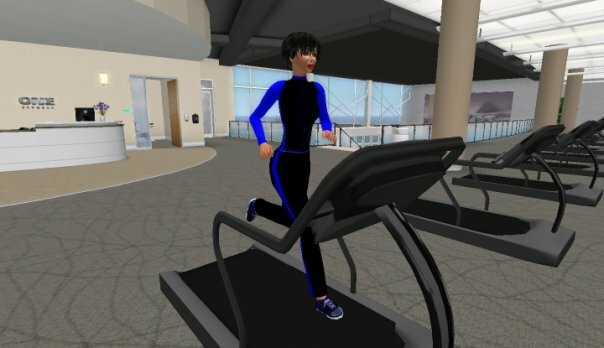 The program didn’t just equip her with the skills she needed, but also connected her to researchers working in virtual worlds. It was those researchers who helped set up the Club One Island weight loss study. To sell the idea of a virtual world facility to the company, the first step was to create a virtual mock-up of an actual Club One fitness center. Flying people around can get expensive. “That is how I was able to get my foot in the door with the organization,” she said. Virtual fitness center not only became a demonstration platform for sales teams, but also a location in which the company could film marketing videos. Club One has a total of 2,500 employees in 60 locations around the country, including work-site health and fitness clubs at corporations including Chevron, Audodesk, AOL, and at community centers, universities, and apartment houses. In addition, the company has 20 clubs with 50,000 members around California. According to DeVaneaux, this first facility cost around $50,000 to build, but that number is a very rough approximation, she said, and does not include land rental. It took about eight months to build the first island. Altogether, the Club One Island project took two years, a number internal team members, developers, and outside contractors, she said, and now encompasses four regions in Second Life. Most of the outside building and design work was handled by 2b3d, a “Gold” solution provider for Second Life. But reducing sales and training costs wasn’t what the Club One Island is all about. “The biggest area of focus has been to generate revenues,” DeVaneaux said. They key was to identify the needs that people had that weren’t met by traditional programs, and find a way to create a process to meet those needs. The fact that there’s no diet for participants to go on means that there’s nothing for them to push back against, she said. Everybody gets something different out of the program, she said. Some people like to return to the “Room of Doom,” a 3D game where they bash unhealthy junk foods that follow them around. Others go to the “Say No Room” where voicing reminiscent of family members, coworkers and waiters urge visitors to have another helping, to try a new treat, to celebrate a special occasion with a big unhealthy meal. DeVaneaux said that she considered other platforms before deciding to place the Club One facility in Second Life. “We analyzed costs as well as what the virtual world limitations were, and which virtual worlds we thought were going to continue to be around in the long run,” she said. She finally settled on Second Life because of the ability to build absolutely anything, which many other platforms did not offer. In addition, some enterprise platforms, including Second Life Enterprise, had significantly higher setup costs. The behind-the-firewall enterprise platforms also required that the club run the software itself, which would impose additional burdens on its technical staff. As it is, running the programs on the island required a lot of staff. Some very high-powered staff. For example, program participants teleporting in for their sessions would first check in with Jim Kavanaugh (“Author Ames” in Second Life), who’s worked as a technology manager at Microsoft, Cisco, Fujitsu and Data General. Users who had trouble getting their sound to work, or their software updated, would turn to him, first. 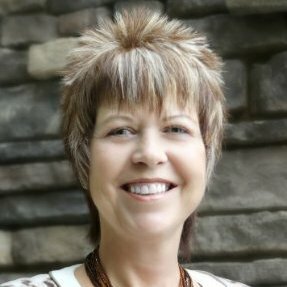 Each session would also be watched over by Audrey Kavanaugh (“Emerson Iwish” in Second Life), with a background in anthropology, education, and leadership training. Today, she is a designer and developer of functional virtual environments. Habit changer sessions were led by Kari Baker (“Karise Marabana” in Second Life), who has seven years of experience as a social worker, and ten as a certified group fitness instructor. Movement sessions were led by Roxanne Christman-Kono (“Inspire Inaka” in Second Life), a certified personal trainer with several years of experience working with corporate clients and groups. Nutrion sessions were led by Lachael Prouty (“Healthy Wonder” in Second Life), a sports and wellness nutritionist with a Master’s in nutrition and experience working with both amateur and professional athletes. The support sessions were led by Kate Sadowsky (“Curiosity Kamala” in Second Life), a wellness coach with a Master’s in holistic health education. She is also a health writer and a meditation instructor. Despite the manpower, things would often go wrong. “We knew that the biggest barrier to this — and still is the largest barrier to this program — is the technical requirements,” said DeVaneaux. Voice frequently failed for either the participants or the instructors, teleports would go awry, and there was one session when nobody could log into Second Life at all, and the class was conducted via conference call. It didn’t help that Second Life was updating its software as the program went on, forcing users to download and install a new viewer. Club One staffers had to scramble to keep up with the changes, and to help the program participants over the installation hurdles. In addition, there were occasional bugs in the training tools and simulations that only became apparent after they were deployed. Support staffers occasionally had to reset scripts and fix problems while the groups were in session. Club One owns the rights to its virtual content, so can expand the program as needed, or license it to other organizations. For example, existing corporate clients might request a private island just for their employees, DeVaneaux said. In addition, if more people sign up for the program than the current four-region facility can hold, expansion would be straightforward. “Then we will start throwing down exact replicas of these islands to expand out,” she said. In addition, the same approach could be used to address other issues beyond fitness and nutrition, she added. “We already designed other behavior change models — ten programs ready to go after we fine-tune this one,” she said. They include stress reduction, smoking cessation, and feeding children, she said.